Mark Todd is making an impression in the lead-up to the FEI Alltech World Equestrian Games in France later this year, winning the three-star International Advanced at Belton Park on Leonidas II and an advanced class on Amacuzzi. Todd was also fourth on a second mount in the three-star at the weekend, with NZB Campino finishing behind Vittoria Panizzon and Borough Pennyz and Mary King and Imperial Cavalier. There were huge entries for the three-star, with 94 combinations finishing and another 15 who did not complete. The field was awash with international riders from around the globe, and Todd finished on his dressage score of 35.50. 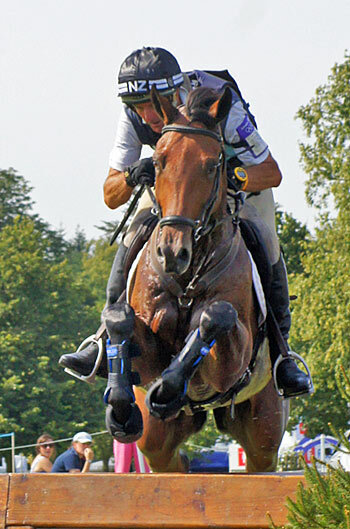 He and Chris Burton, who finished fifth on TS Jamaimo, were the only riders to finish on their dressage scores and without cross-country time penalties. Both of Todd’s placegetters are on New Zealand’s High Performance Eventing Squad and up for consideration for WEG. Leonidas II is owned by Diane Brunsden and Peter Cattell, and is being at Badminton. Cattell also has shares in Todd’s other HP squad horse, Oloa, who will start at the Kentucky Three-Day-Event later this month. Todd also rode St Daniel in the 3* for Megan Heath, who is recovering from a broken collarbone. The combination was eliminated after a fall on the cross-country, but neither were injured.